Have you seen our free stuff page? How about the more free stuff page? They are both completely overwhelming. Sooner or later I need to reorganize but since that sounds super boring, I decided to highlight some of the best. Here are 10 super popular freebies from Your Therapy Source. This list is from the last two years to keep it current of recent “trends” of people’s interest. Funny thing is a few of these have been the most popular for over 10 years now! By far, my most favorite freebie from Your Therapy Source is the Roll Some Fun freebies. And, I am obviously not alone since even when I go back 10+ years into the YourTherapySource archives and analyze, this freebie still comes out on top! 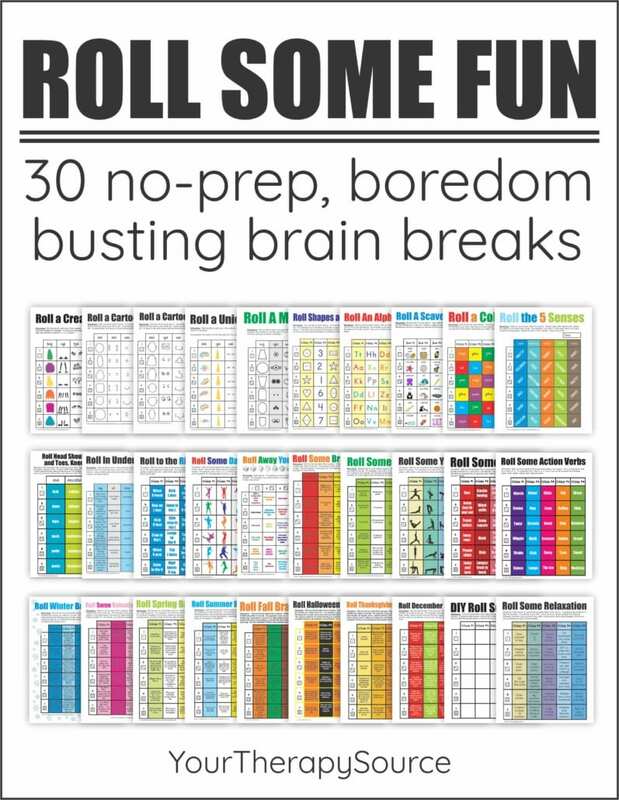 You can get the complete Roll Some Fun Brain Breaks! It has been updated to include 30 no-prep, boredom busting brain breaks to encourage visual motor skills, sensory motor skills, and FUN. Each game board can be done with one person or a group in a small or large space! 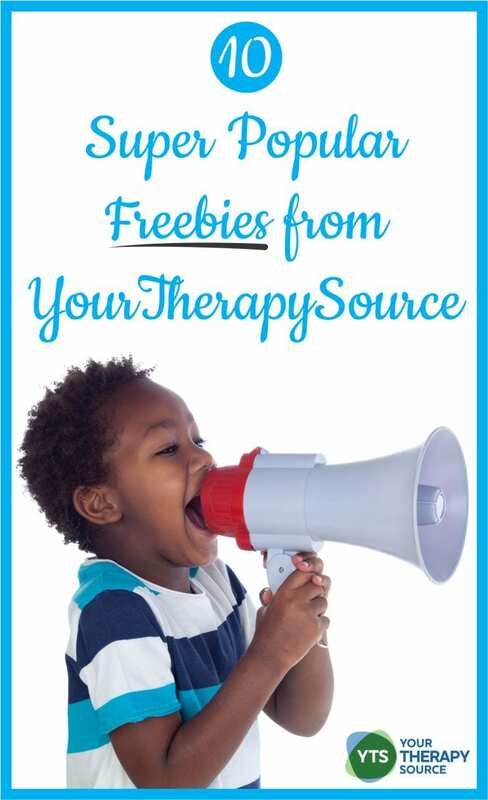 What is your favorite Your Therapy Source freebie? 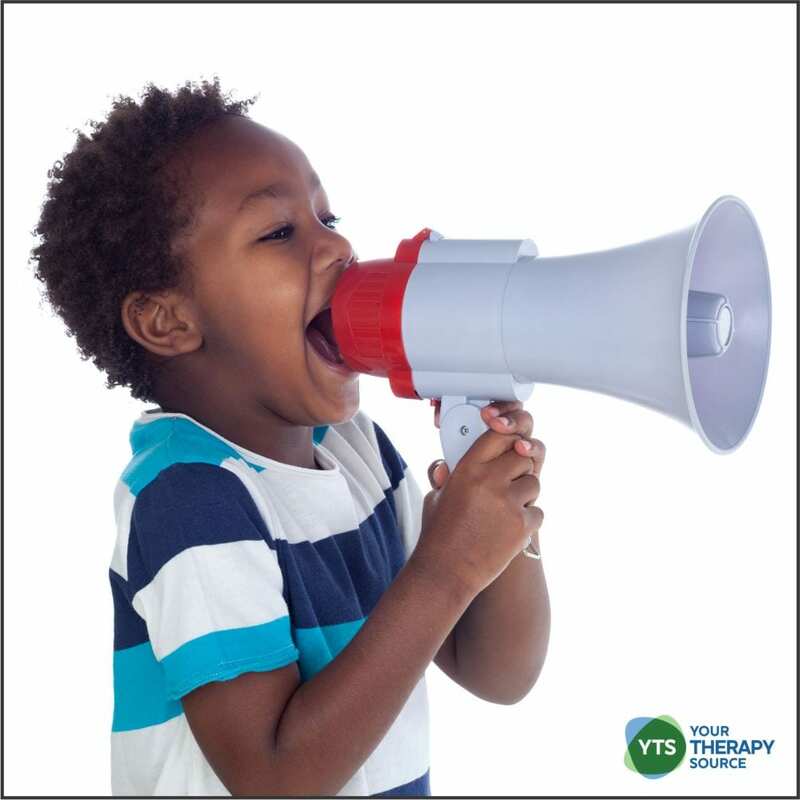 Send us an email at info@yourtherapysource.com and let us know! Does anyone have any suggestions for organizing the freebie pages? Organization is definitely not one of my strengths so I have no clue where to start!